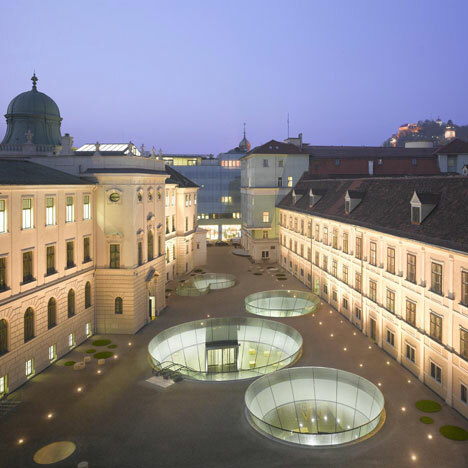 Joanneum Museum is one of the Austrian cultural destinations and famous buildings you must see, specially if you're visiting Graz, where museum is located. In 2011 new part of the museum is open. We were quite impressive when we found out that the new part, designed by Nieto Sobejano Arquitectos, is actually under ground, below the main square connecting the Art Museum, Natural History Museum, and Library and the square. 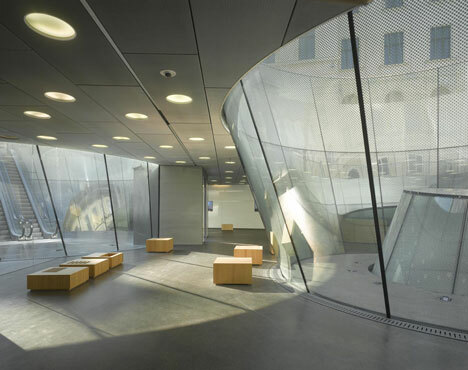 "The premises of the Joanneum museum, in their current state, are the result of three different buildings, of different times and uses. The project involves the construction of new spaces which allow to value each building separately, and at the same time, to reorganise their accesses and new needs of use. Our proposal just involves a sole direct and clear operation which almost “disappears” in the urban environment. The historical city centre of Graz is especially valued by its historical roofs. However, this project is developed at a floor level; we will just build a new mineral flooring, a “carpet” which covers all the outer space among the buildings and hides within the new spaces that house the required programme. In the Art Museum, Natural History Museum, and Library, we will implement the works in a respectful way towards their architectonical characteristics, partially modifying several inner spaces without interfering in their outer image or volumes. 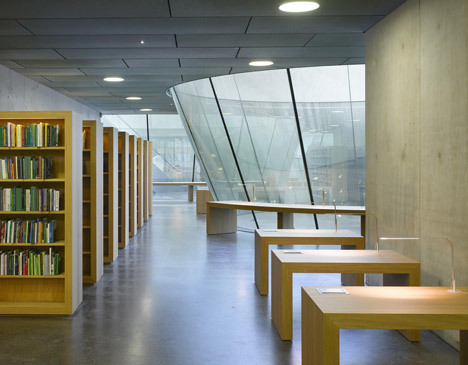 The new pavement is therefore drilled by some deep round holes, conic intersections which drive the natural light into the inner part of the building. 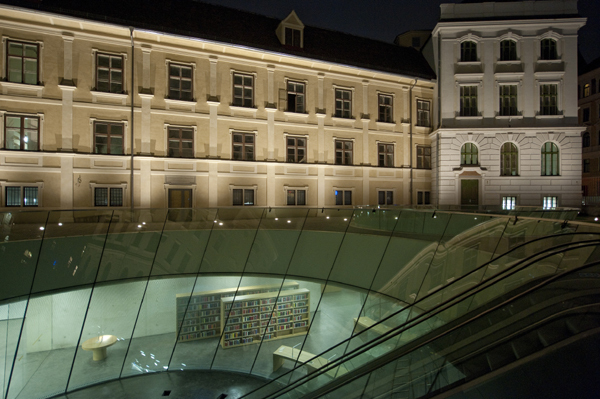 The main hall will centralise the new access to the museums and will become the common link for the new spaces: shop, assembly hall, didactic room, reading rooms, and coffee bar.A public and cultural institution such as the Joanneum Museum will promote with this proposal the dialogue between Art and City. The new “mineral carpet” which will cover in just one level the space lying among the three buildings will be made of panels whose relief will be developed in collaboration with a contemporary artist. 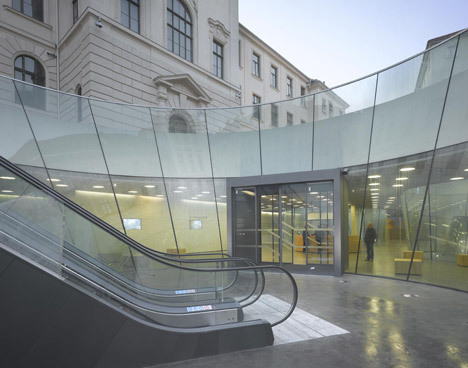 In this way, the new square which lies inside due to the extension becomes at the same time an artistic intervention in the public space of the city of Graz."